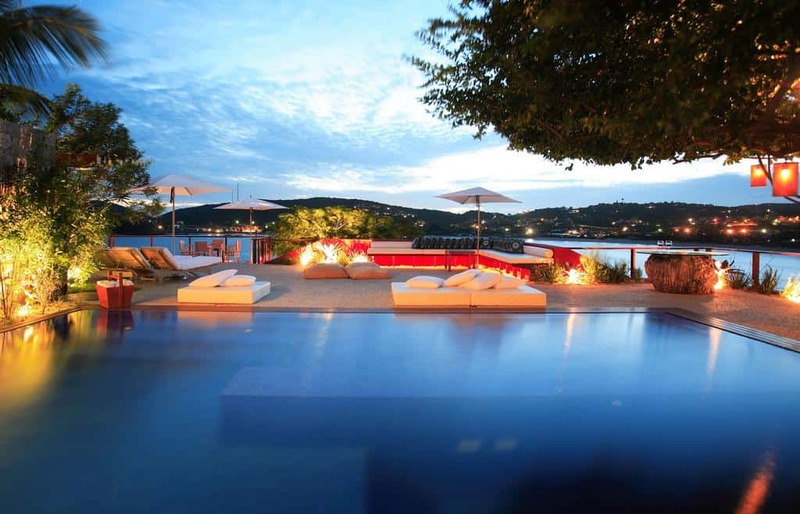 One of Brazil’s most famous beach towns, Buzios boasts over 25 wonderful beaches only a couple hours from the hustle and bustle of Rio de Janeiro. It’s the perfect destination to relax, have fun and enjoy the beach. 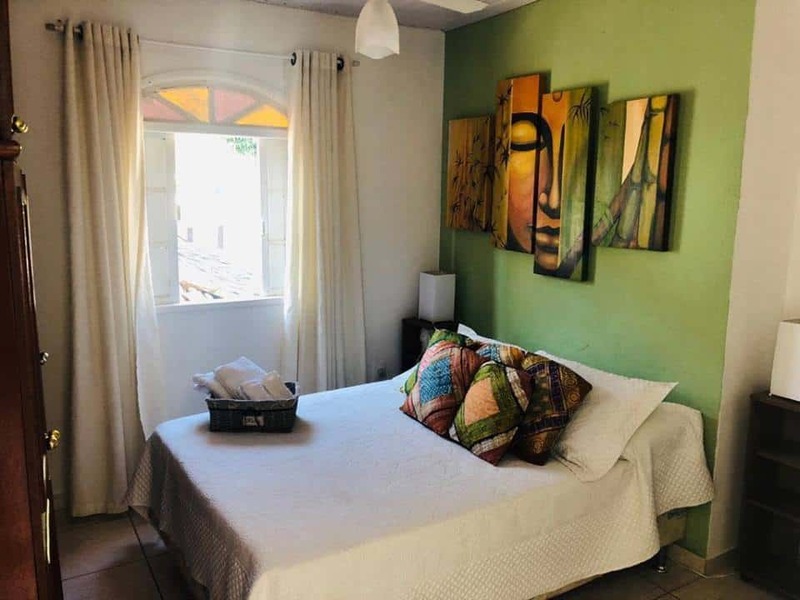 Whether you’re off for a romantic vacation, family or friends trip, the Bùzios & Arraial do Cabo package on Rio Love Story make planning your trip simple and affordable. On your first day, after you arrive in Bùzios, you will have the time to rest and have lunch before going on a 2h30 boat trip to discover the city of buzios from the sea and swim in one of the best beach. 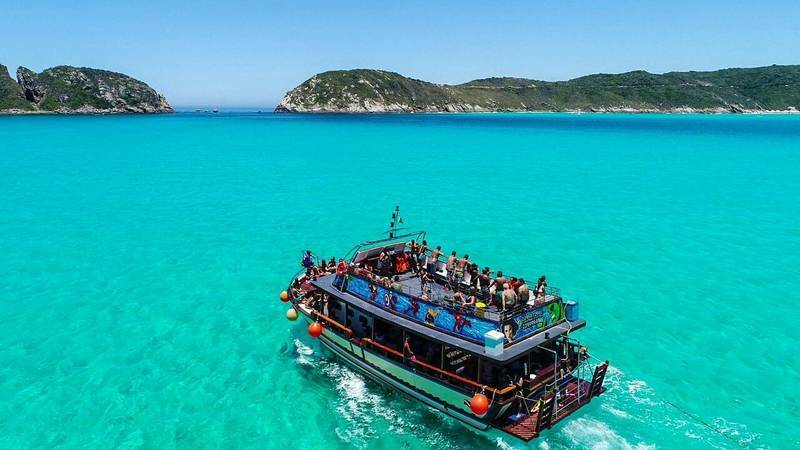 You will spend your second day in Arraial do Cabo where you will discover outstanding landscapes and swim in the clear water of Arraial’s beaches. 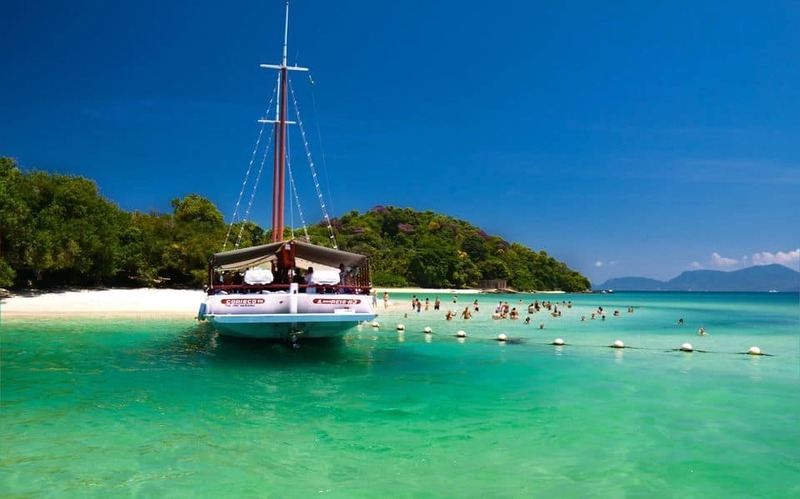 The tour includes 3 boat stops in Forno, Punto de Atalaya and ilha da Farol beaches. Very nice Guest house run by a couple, Eduardo and Vale, from Argentina. 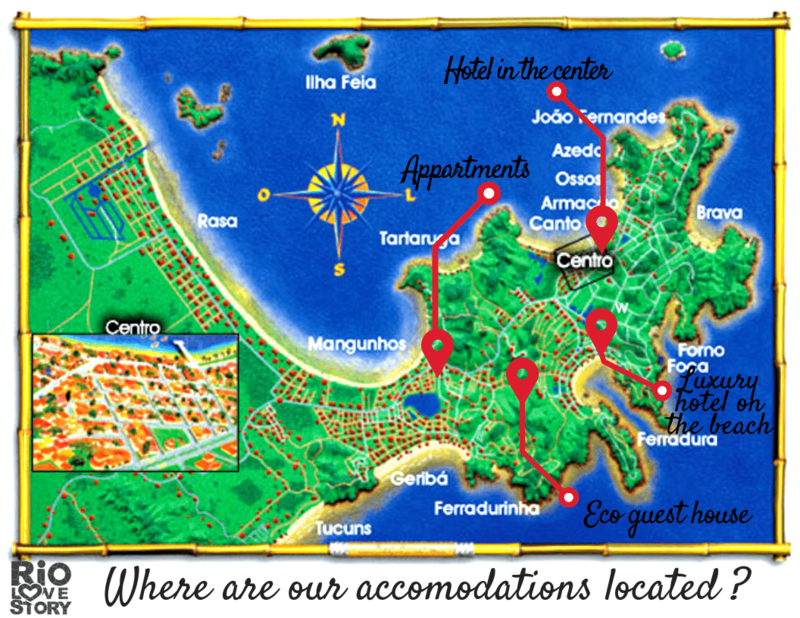 Located just 50 meters from Manguinhos Beach 500 meters away is the main road where transports pass all the time to take you close to any other beach in Buzios or to the center. 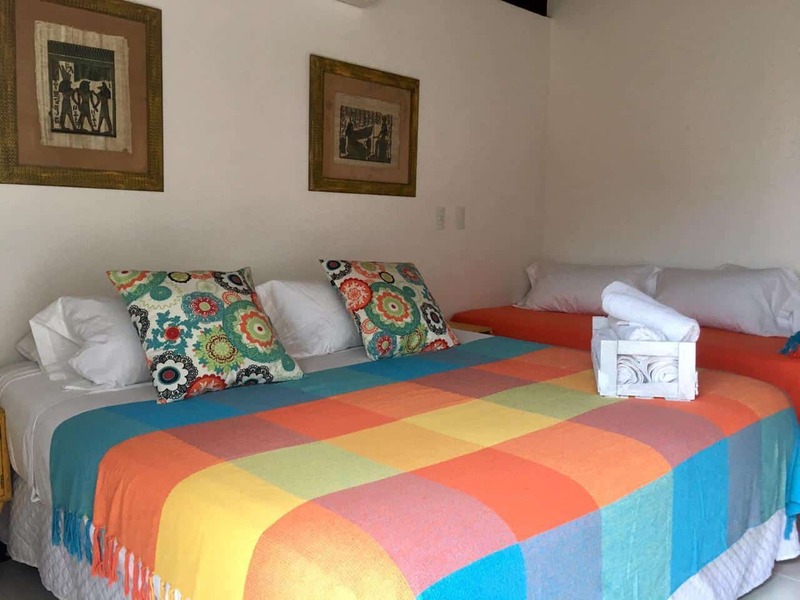 The rooms are suits and each have a private bathroom, air-conditioner, room-cleaning, king size bed, wi-fi, and breakfast included. 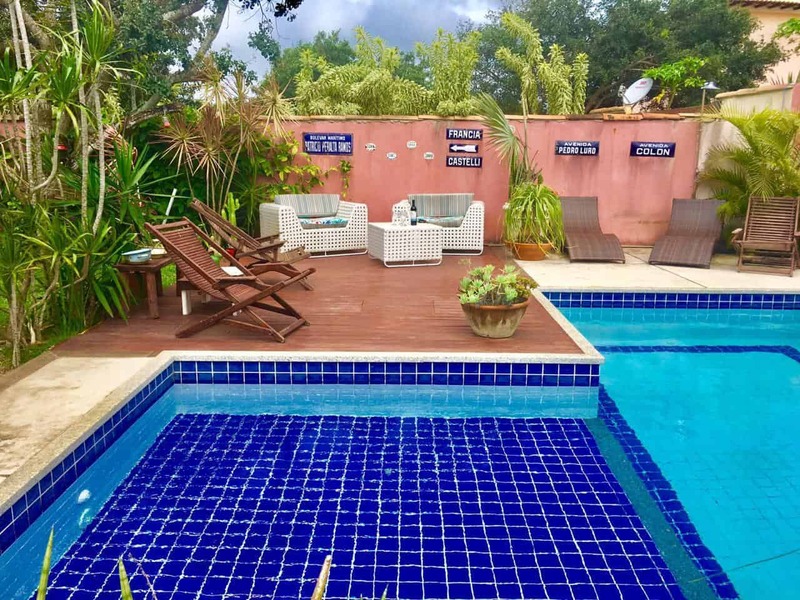 The places has a big garden where there is a pool and relax are, additionally you have access to the compete kitchen so you can prepare a meal just as if in your own house. The concept of this eco guest house is to integrate to the landscape in its colours and lines with total harmony. 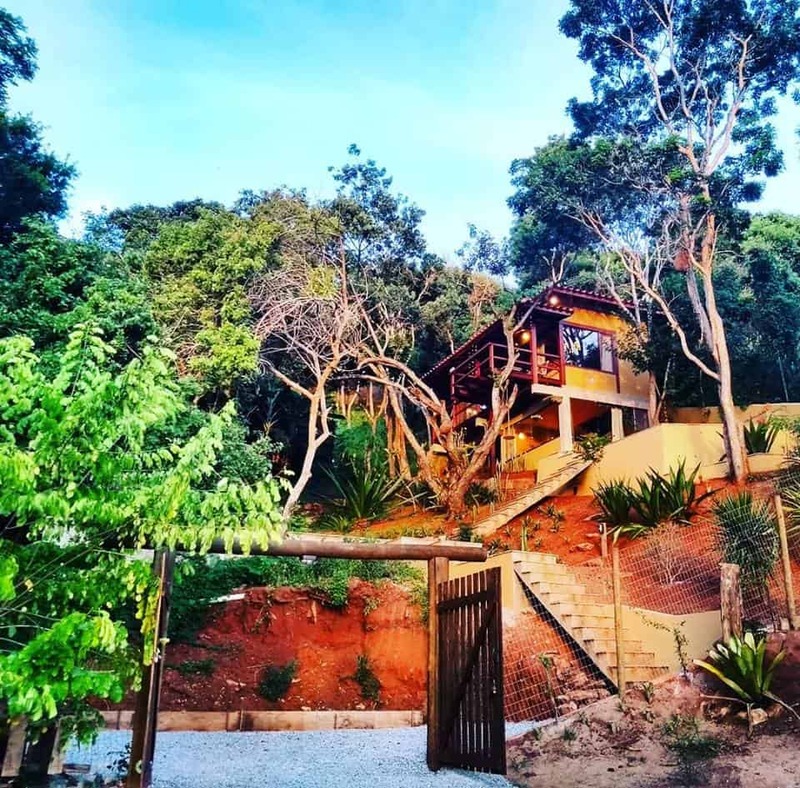 Located beside the natural reserve “Parque Costa do Sol”, only ten minutes away from downtown and very close to the beaches of Ferradurinha, Amores and Geribá. 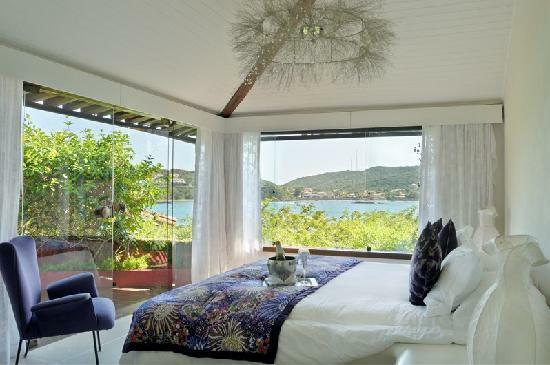 The proprety is orientated to the Manguinhos´ beach, which make it the best place for sunset view in Búzios. 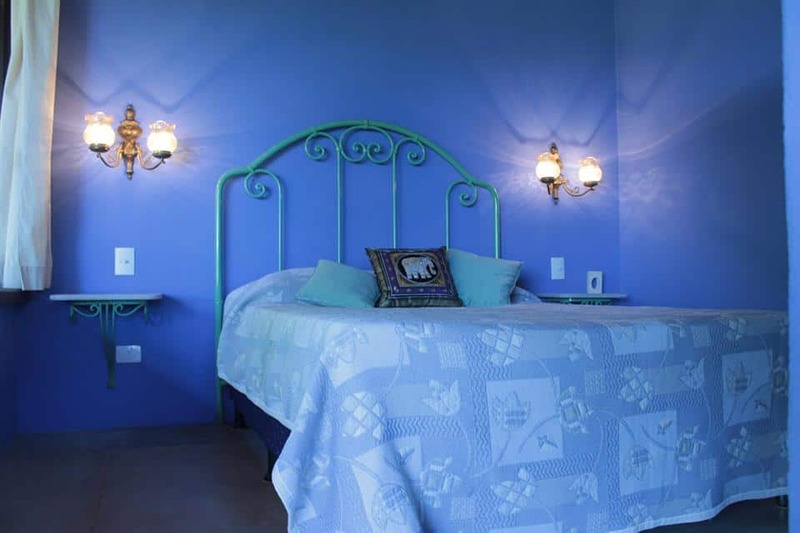 The guest house has a warm, elegant and confortable design. 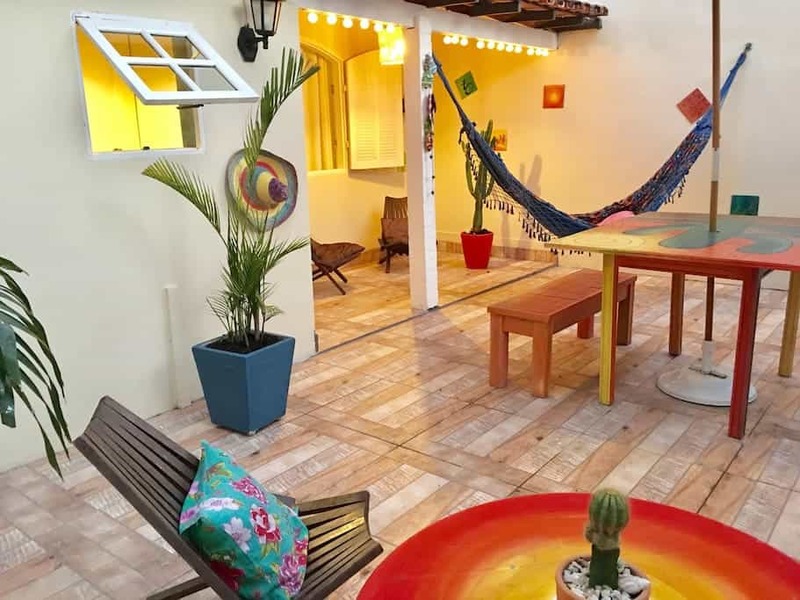 This property is a 1-minute walk from the beach and a 5-minute walk from Rua das Pedras. 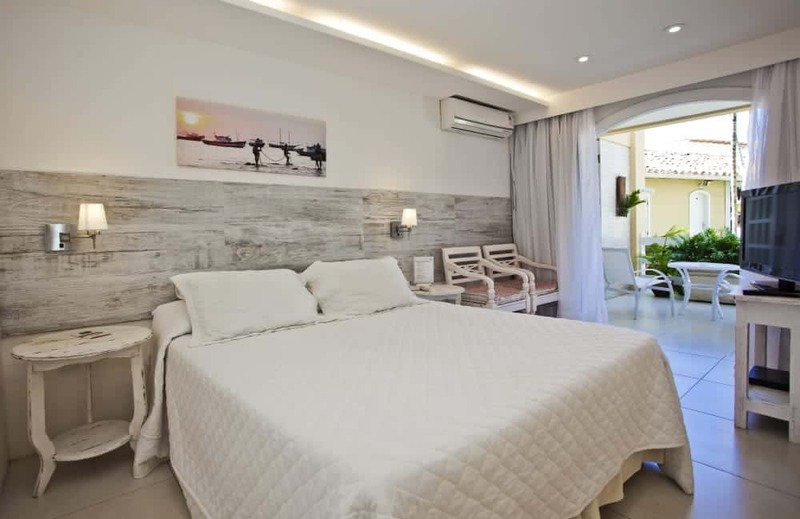 This neighborhood is perfect if you are looking to be close to Bùzios nightlife .And you can easily walk from the hotel to the beaches of Canto, Ossos, Azeda and João Fernandes . All rooms have a modern decoration and come with air conditioning, cable TV, CD and DVD players. This property also has a barbecue, a sauna and a jacuzzi. In your first day, after you arrive in Bùzios, you will have the time to rest and have lunch before going on a 2h30 boat trip to discover the city of buzios from the sea and swim in one of the best beach.